Let’s face it, when it comes to American sports, Football is King. Baseball is the American pastime and basketball is widely considered to have the best athletes, but there is little argument that football rules them all. It’s not a new phenomenon of course. For decades the NFL has dominated the ratings and since the early 90s college football ratings have steadily increased putting it firmly in 2nd place. There is no argument over this because the ratings prove it. The NBA gets the third highest ratings for national network games behind the NFL and College Football. Nationally televised NFL games average more than four times as many viewers as NBA games and National College Football ratings double the NBA. The reason ratings are important for this article is TV ratings and viewership directly correlates to the popularity of betting for each sport. There are plenty of Americans who prefer Basketball, Baseball, Hockey or even UFC, but when it comes to ratings and overall interest, Football dwarfs them all. Betting interest and the amount of money bet mirrors those ratings as sportsbooks’ football betting handle dwarfs the other sports. 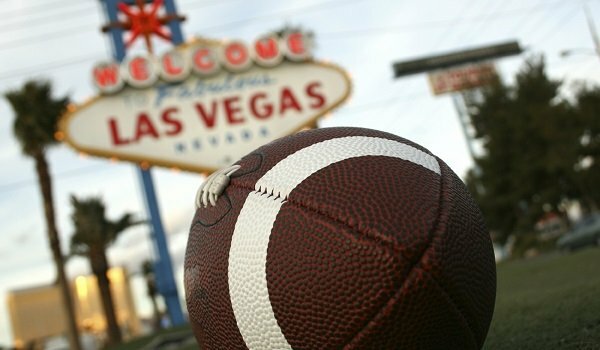 Las Vegas Casinos don’t put out official numbers for the amount bet on each sport, but some industry insiders says the amount bet on the NFL and College Football make up over 60 percent of the total money bet yearly. If you add in the amount wagered through illegal underground betting and online betting, some believe you’re looking at north of 200 billion dollars. Let’s just say if you’re an American and you bet on sports, the majority of you are like us and have money riding on football games every fall weekend. The love affair with betting on Football is a problem for the public or “squares”. The sport everyone loves to bet on is also the hardest to win consistently. When it comes to betting football the public thinks they are smarter than they really are. They know the team’s record, Quarterback, and skill position players so they think they have a pretty good handle on who will win the game outright. When most come to that conclusion they don’t care about the points they have to lay. Anyone who knows football and understands point spreads can win in the short term which leads to overconfidence. How do they win in the short term? Betting favorites and overs. When a novice bettor looks at the lines they start with which favorites they have the most confidence in to cover, pick those then move on to the totals they think will go over. That strategy loses in the long run and by long run we mean within a few weeks most bettors likely will be hemorrhaging money. Everyone loves cheering for the underdog when they don’t have money on the game, but when they decide to place a bet they can’t bring themselves to bet on the dogs. The books know this and move the lines accordingly. Sports gambling was legalized in Las Vegas in the early 50s. The casinos didn’t get involved until 1974 when Nevada Senator Howard Cannon succeeded in getting the 10 percent tax the federal government imposed on sports betting lowered to two percent (It was lowered to the current .25 percent in 1982) Thus became the birth year of widespread phone outlets featuring “handicappers” screaming about guaranteed football picks. For a fee (usually per call or monthly) a bettor would call up a number and get a recorded voice giving them a weekend of guaranteed NFL picks or more commonly a guaranteed Monday Night Football pick/parlay. It was even worse if they knew you had money because then you were forced to talk to a real life scumbag in a windowless room stinking like cigarettes and fast food sitting next to five other scumbags. They are all screaming into the phone “This NFL Pick Is Guaranteed!” All while trying to bilk you out of more money and calling you crazy if you say no because they have the NFL “lock of the year” Little did you know the head scumbag probably picked that lock by flipping a coin, throwing a dart or even worse by trying to do real life handicapping. Either way, you usually got screwed in the end. These unregulated handicappers where scam artists of the worst kind. They promised winning percentages of 70, 80 even 90 percent with no way to back it up because they couldn’t back up something that is virtually impossible. Double siding was very common, where half the customers would get one side of a game and half would get the other thus guaranteeing half the customers would be happy and keep coming back for more. Times have changed but not all that much. The scam artists from the phone lines are still here except they have moved to the internet. You will still hear the same boasts about a 70 or 80 win percentage in football. These people are just as full of crap as they were back in 90s, the only difference is they don’t scream at you over the phone anymore, they give you their empty promises in writing. With that being said what better time than now to tell you some things we guarantee. Out of those 60, we guarantee 28 handicappers had a season over 60% but only 9 did it while releasing 100 picks or more, which is extraordinary. We guarantee the highest win percentages we’ve ever had with a minimum of 100 picks was Scott Rickenbach in 2013 (66-34, 66%) and Stephen Nover in 2012 (68-34, 66.7%) How rare were those 2 seasons? The next highest is 62%. Those 2 seasons was some truly amazing handicapping that you will RARELY see on the internet. Out of those 60, we guarantee 21 handicappers had seasons over 60% and 12 did it with a minimum of 100 picks. Again, Extraordinary seasons, rarely seen. Obviously you get the picture that there are no guarantees of winning when it comes to betting on sports. The only real guarantees we can give our readers are every single football pick released by one of our handicappers is documented and you can see every pick released in real time as the game is going on. Every morning the handicappers wins and losses are up for everyone to see. If a capper went winless on Saturday or Sunday, every painful pick will be published. When we say our football picks are guaranteed the only thing that is guaranteed is the pick or the picks package you buy is guaranteed to show a profit or you get website credit for the amount you paid. RideTheHotHand reviews and rates each handicapper and we give you our unbiased opinions of which handicappers we believe gives you the best chance to win over the long term. We suggest that if are going to purchase picks from our football handicappers you take the time out to do your own research and use our services as a long-term business investment and not a quick money making scheme. We guarantee NO handicapper on our website will ever hit over 70 percent picking any significant amount of games. We also guarantee If you do your research, find the right cappers, maintain good money management and discipline there are ample opportunities to make some serious money while also being entertained.